Rajasimhan alias Simma, nephew of actor and politician Vijaykanth passed away due to massive cardiac arrest last evening (31st March). He was 42 years old and is survived by wife and an 8 year old son. Simma is Vijayakanth's elder brother's son and was raised by the actor since childhood as the former's father passed away early. He was a Visual Effects Supervisor and had worked in many films such as Jeans, Padayappa to name some. He always took care of the CG work in Vijayakanth's films. 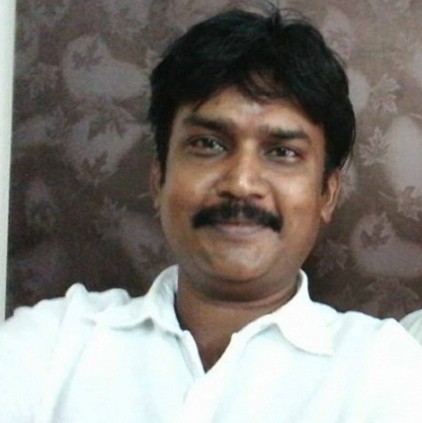 Sharing the information and his grief in his social media page, Ulkuthu director Caarthick Raju states, “Shocking n Unbelievable to hear about the sad demise of my friend Simma alias Rajasimhan. Was chatting with him in fb few days back and saddened to see him passed away at this young age due to heart attack. Rest in Peace my friend. Deepest condolences to your family”. We offer our condolences to Rajasimhan’s family and pray for the departed soul to rest in peace. Vijayakanth To Act In A Film Titled Tamizhan Endru Sol. People looking for online information on Rajasiman, Vijayakanth will find this news story useful.